As explained elsewhere, I went to Pordenone without my camera. So the photos here are taken by others: a couple are grabbed off the web. Regretably I am writing about it months after the festival ended. 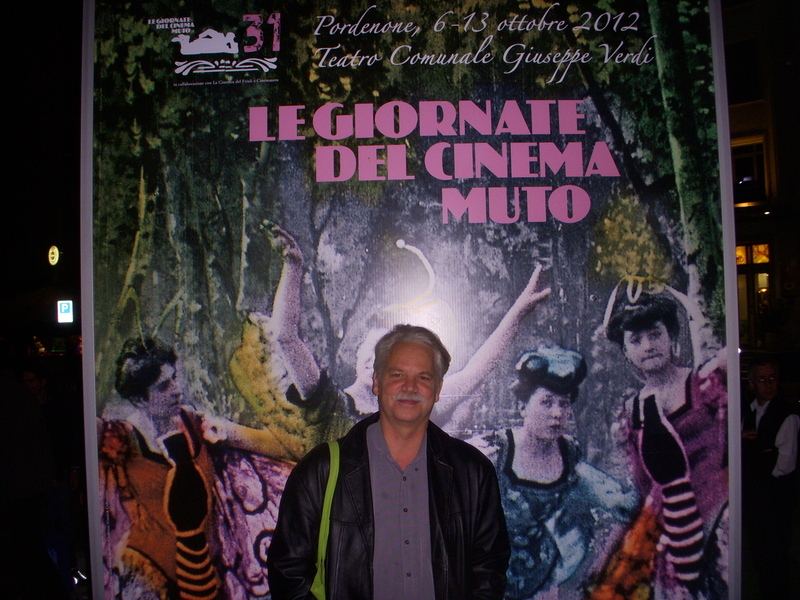 I became a Pordenone regular some years ago––specifically in October 2007. Don’t get me wrong; I had missed very few Giornates del Cinema Muto since the mid 1990s, but my son John Carlos was slightly less than a year old. I thought I should be a good husband, a good father–-and stay home. But none of my Yale colleagues were going. And Silent Cinema really is my portfolio. There were German silents, about which I needed to learn more. Threese encouraged me to go–and so I went. And I saw E. A. Dupont’s The Ancient Law (1923), a key film that enabled me to finally write a long wished for essay on The Jazz Singer. In addition they screened some very early Passion Play films, shot in Palestine in the 1890s. It was a great year, but I didn’t know that until I was there. Now I don’t bother to look at the program. I just go. In 2012, once again, there was serendipity. 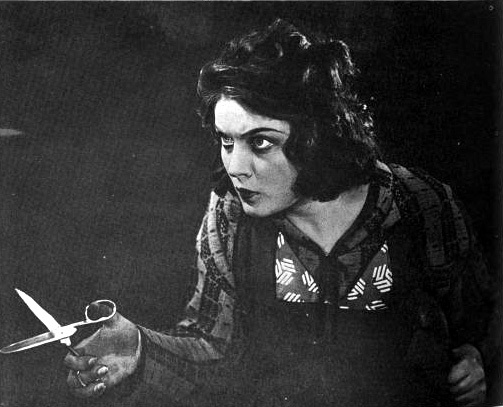 I was writing an essay for Film History entitled “Conversions and Convergences: Sarah Bernhardt in the Era of Technological Reproducibility, 1910-1913.” And the Giornate showed Bernhardt’s first motion picture: a brief excerpt of the duel scene from Hamlet (1900), made for the Phono-Cinema-Theatre at the Paris Exposition Universelle of 1900. 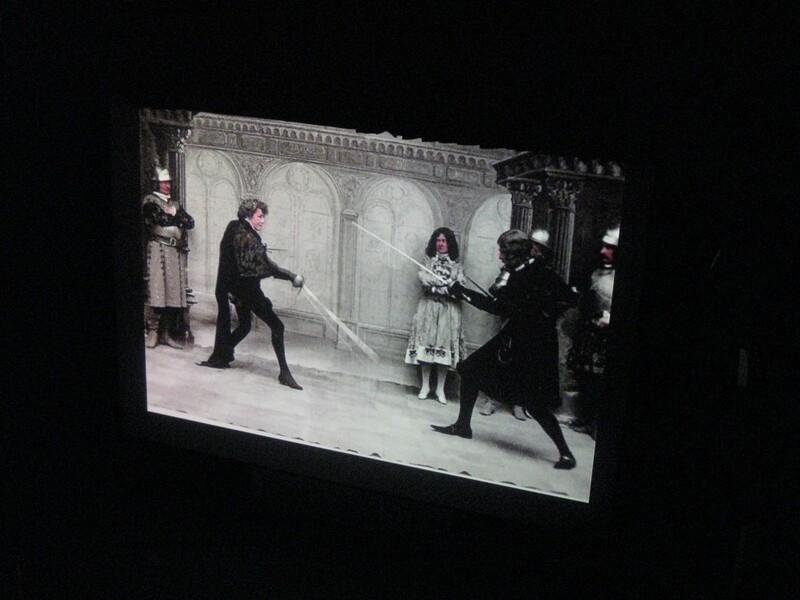 Sarah Bernhardt in the duel scene from Hamlet (1900). It was in color and wonderful condition. And I saw it in the context of almost two dozen other Phono-Cinema films, many with recorded sound tracks from the period. The greatest surprise and perhaps the greatest pleasure of the week was my discovery of Anna Stein, the Soviet film star of the late 1920s, who had a brief career in Germany then moved on to the US where Goldwyn tried to boost her career–but failed. From Boris Barnet’s The Girl with the Hatbox (1927) to Robert Siodmak’s Storms of Passion (1931), I was enthralled. 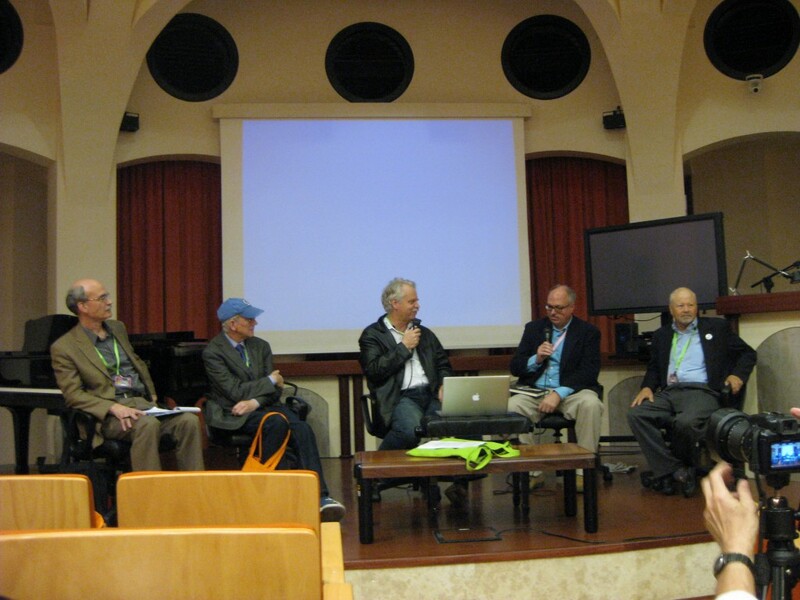 Another high point of the week was chairing a panel with Richard Koszarski, Kevin Brownlow, Ned Thanhouser and Andrew Erish (who had just published a book on William Selig). This Collegium session took place on October 12th: “Hidden History: the forgotten studios–Selig, Thanhouser and the others.” The Edison company (my area of particular expertise) is clearly not one of the forgotten studios, though I have done my share unearthing some obscure ones. 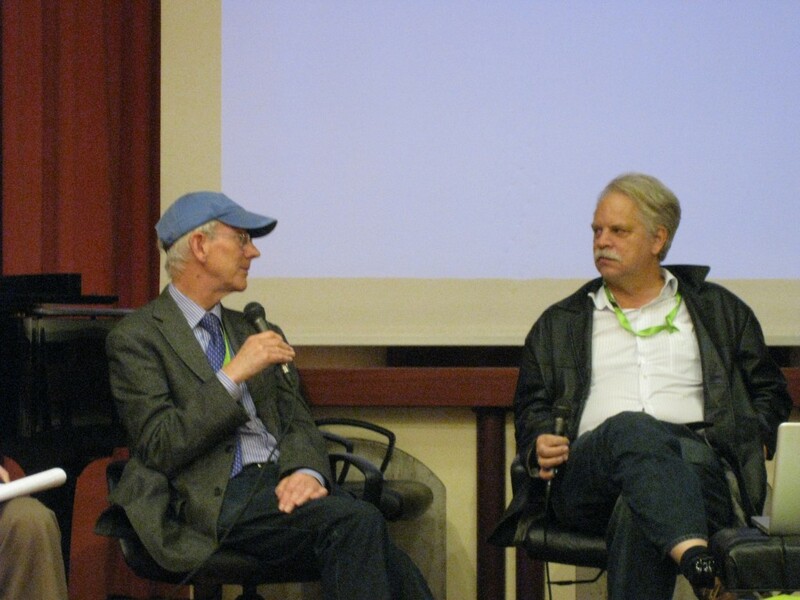 It was a great honor to be on the same stage with Kevin Brownlow–the first time we actually sat down together. I am hoping it broke the ice. 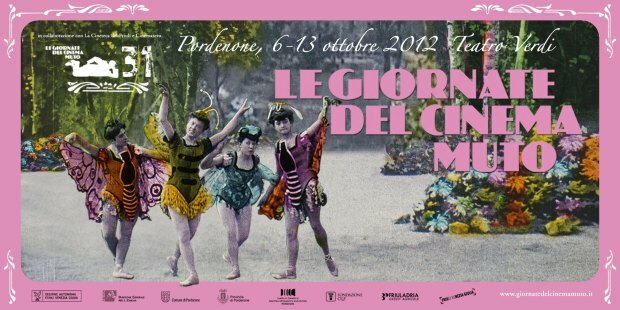 Next year in Pordenone! Hopefully with a camera.